Cape Breton Tourism Spotlight: Richmond County Newest Shoulder Season Festival "Pirate Days in St. Peter's" was an Overwhelming Success-Arrr! 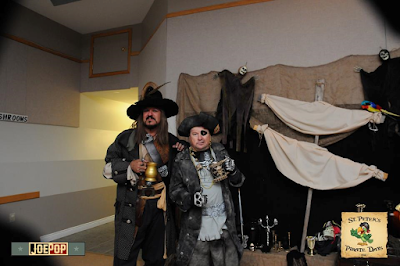 Richmond County Newest Shoulder Season Festival "Pirate Days in St. Peter's" was an Overwhelming Success-Arrr! 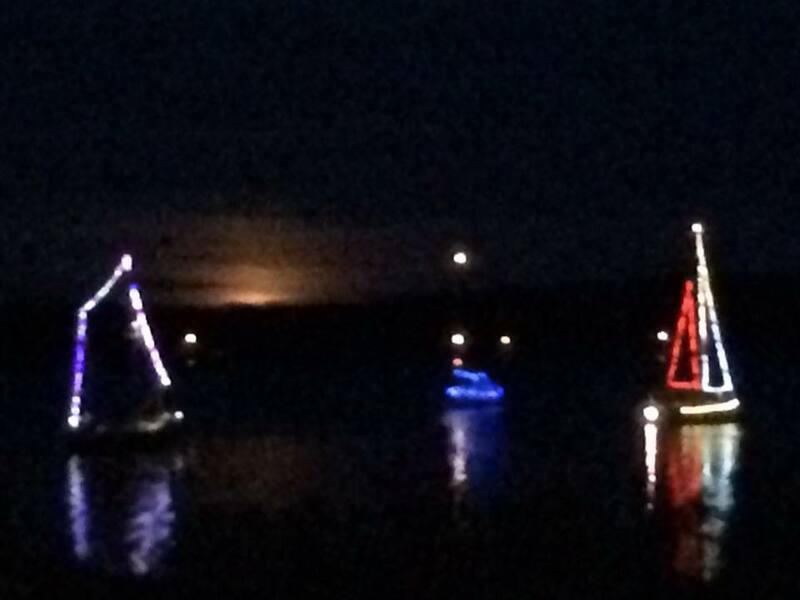 It was hard to describe the excitement created by this years newest festival, but it was contagious. The village of St. Peter's completely embraced the festival, store fronts and business were decorated to the hilt, inside and out. And the owners and staff rose to the occasion by dressing for the occasion, oh! yes Black Beard, himself would have been proud. Businesses were not the only sector of the village to get into the spirit of the festival, home owners, put their imaginations to the test and came up with some very unique looking results. 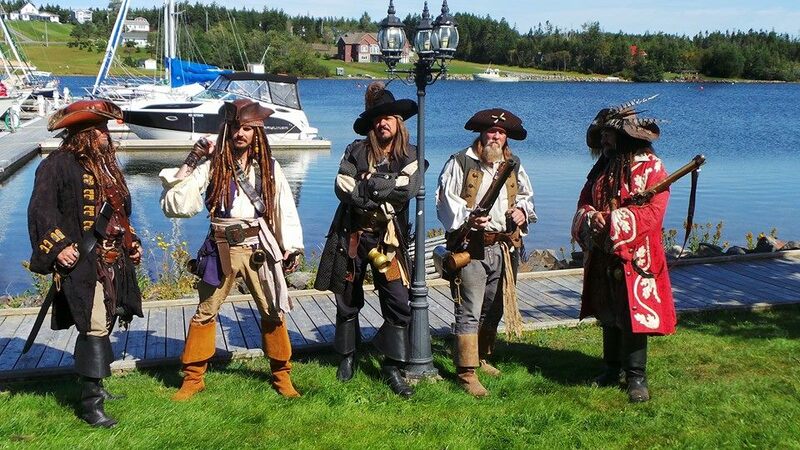 During the 3 day weekend, the Pirates of Halifax, could be found wondering the streets of St. Peter's, much to the delight of young and young at heart, who stopped and chatted with the pirates and seized the opportunity to have their pictures taken with these masters of the high seas. During the children's events the wee pirates, were captivated by the pirates as they told them stories of pirate's gold and spend time interacting with them during the morning, even taking the time to have lunch with the kids. The whole weekend was surreal, from sailing tours hosted by our local pirate captains, to music, food, and a night light pirate boat parade, it could not have gone any better. 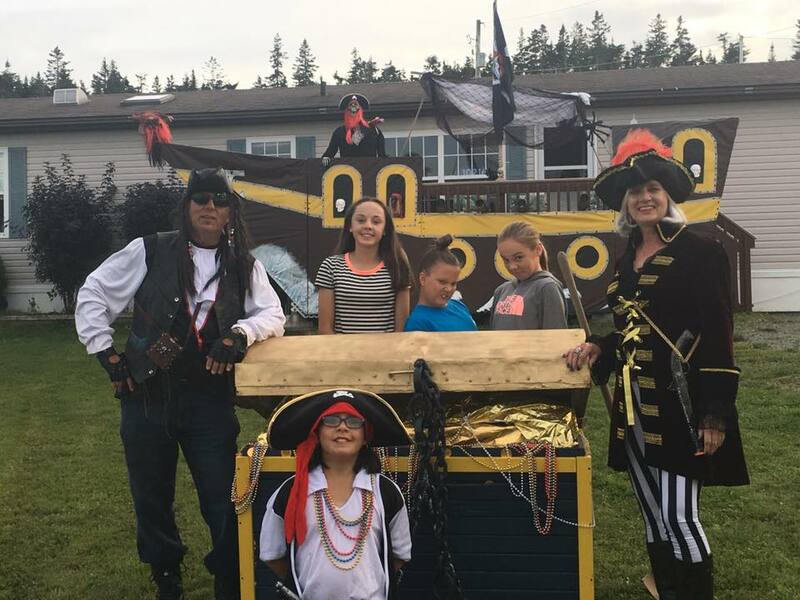 And the thanks for this event has to go first to a very energetic young lady by the name of Danielle Sampson, who first brought Pirates Day to St. Peter's 3 years ago and has built on this event each year, to what we have celebrated this year. Of course Danielle could not have done this along, she had the partnership of the Richmond Municipality, Destination Cape Breton Association, the St. Peter's and surrounding businesses, Community Associations, the Lions Hall and Marina, the St. Peter's Volunteer Fire Department, the Community Club, Joe Pop Photography, the Tourism and Restaurant operators, the Nicolas Denys Museum and the people of the community, who volunteered their help and to the locals and visitors, who came out to take in the events, which made the festival such a success. 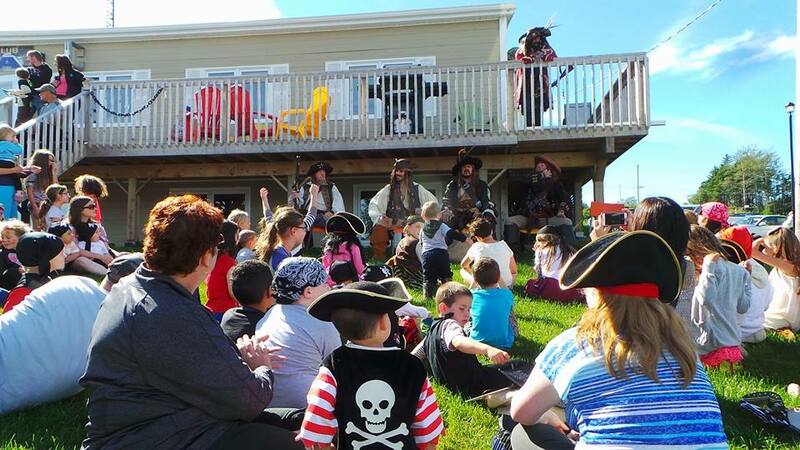 Already Danielle and community associations are meeting to plan for next years festival, I can hardly wait, Arrr!